When teachers provide formative, skill-aligned feedback to students, learning accelerates. Indeed, education research on academic achievement points to feedback as one of the most influential factors for improving student performance. 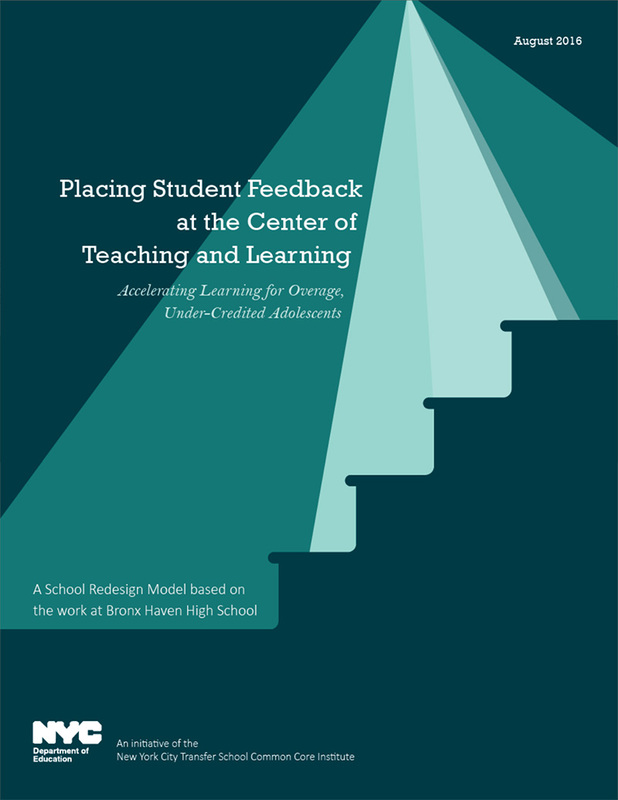 In this monograph—part of a series that captures practices and tools that support deeper learning for overage and under-credited adolescents at transfer schools across New York City—we share how Bronx Haven High School teachers developed their feedback practices. This report shares the strategies and tools that Bronx Haven teachers designed and tested to support student learning. These include the “Standards-to-Skills Loop,” which was developed to help teachers establish clear objectives and provide support for students’ skill growth; a student feedback form and conferencing protocol to guide students and plan revisions; and a student engagement and academic skills charts to allow students to track progress in key areas.